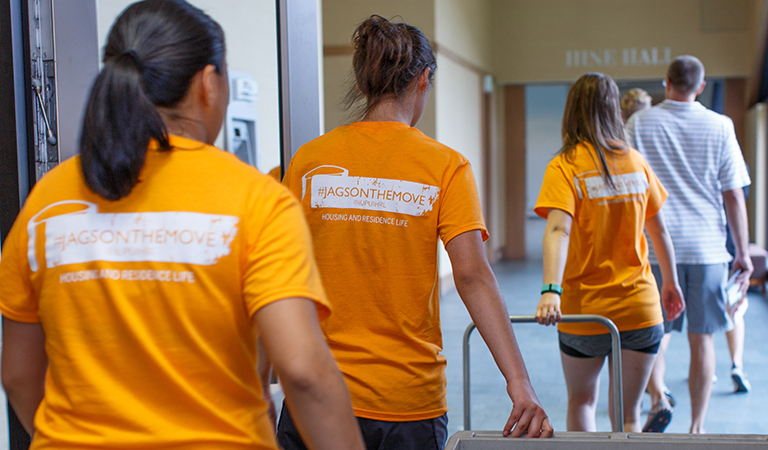 IUPUI’s Housing and Residence Life student staff help students and families move into University Tower for the 2016-2017 school year. 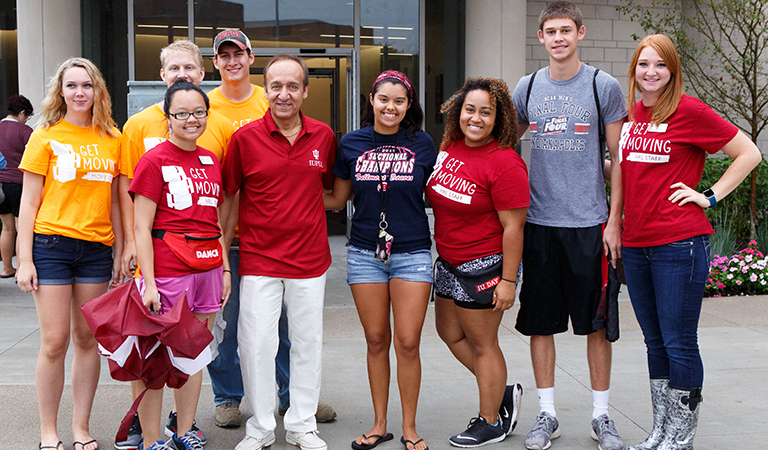 IUPUI Chancellor Nasser H. Paydar meets residents of Ball Residence Hall as they move into their new homes. Parents are excited to help their son on move in day as he pursues a degree in the School of Informatics and Computing. 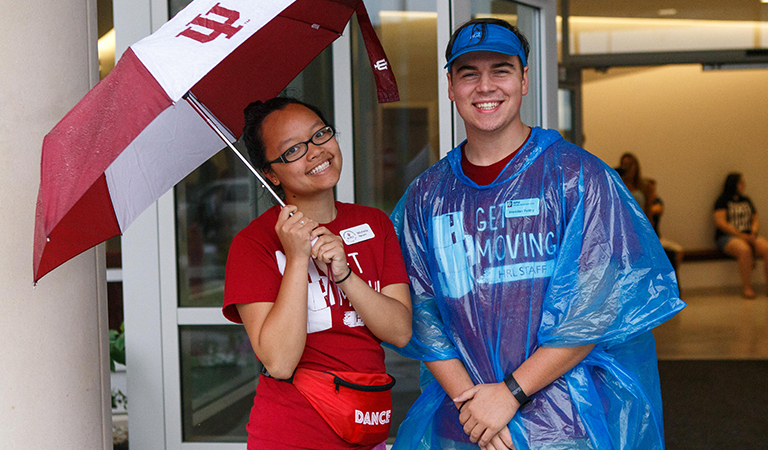 Rain or shine Michelle Nguyen and Brendan Bystry, Housing and Residence Life staff, are eager to help its newest residents. 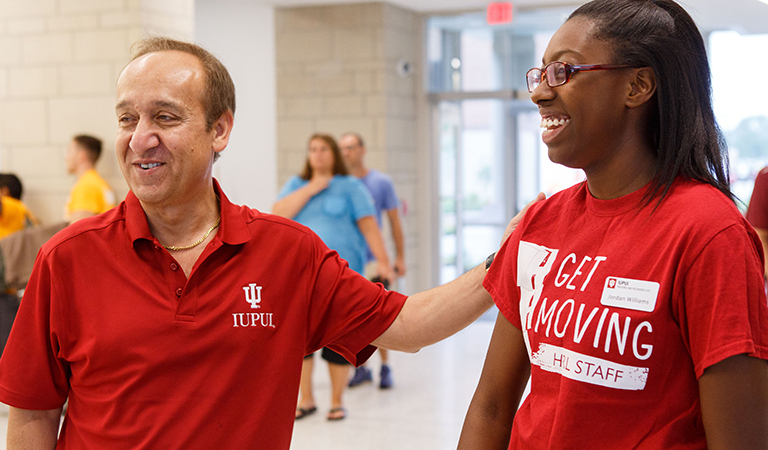 Chancellor Paydar and Jordan Williams, Housing and Resident Life staffer, share a laugh during move in. 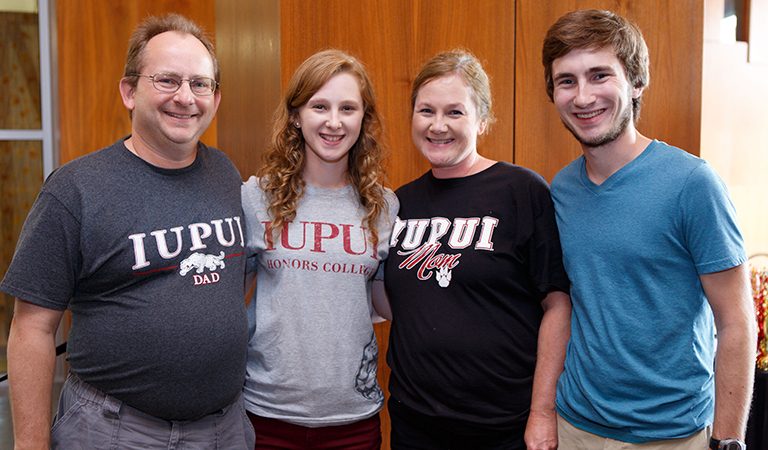 The whole family arrives on move in day representing IUPUI with pride. 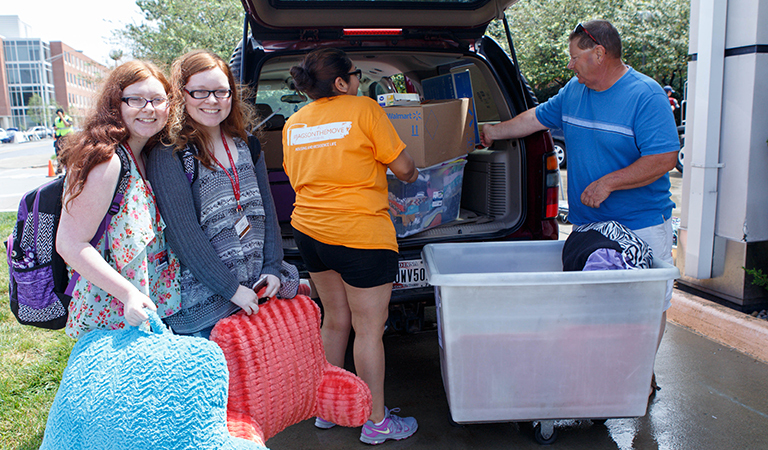 Sisters are well prepared to move into their new homes with the help of family and staff. 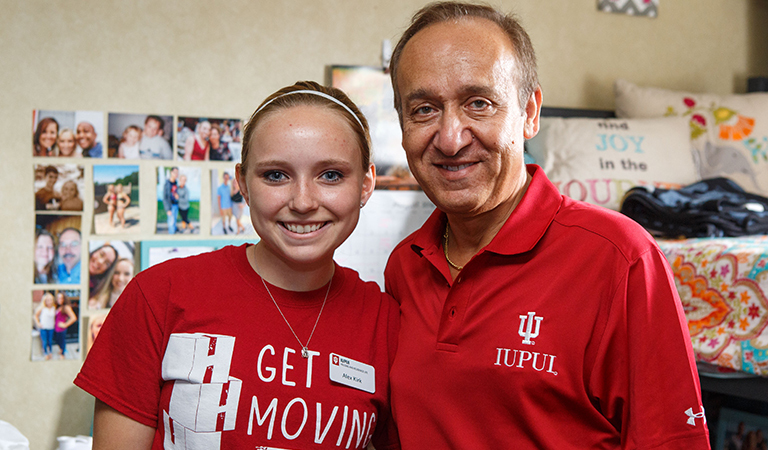 Chancellor Paydar visits Alex Kirk, Housing and Residence Life staffer, who helps other residents move in. 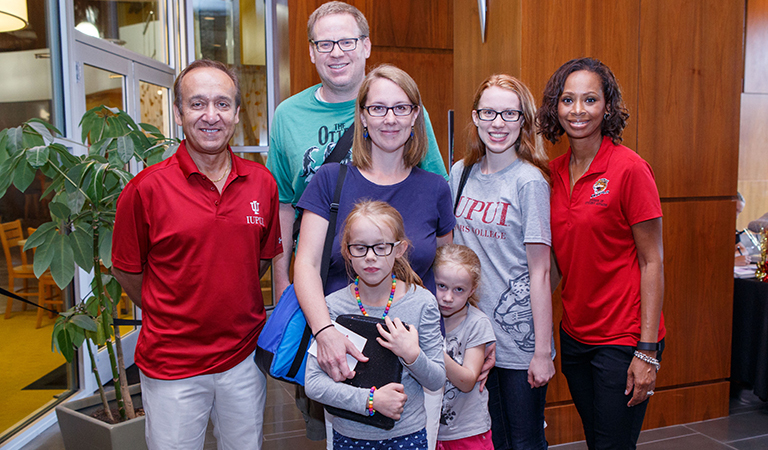 Chancellor Paydar and Tralicia P. Lewis, Interim Vice Chancellor for Student Affairs, greet John Rasmussen, IUPUI Senior Associate Athletics Director, and his family as his daughter transitions into her first year of college at IUPUI. 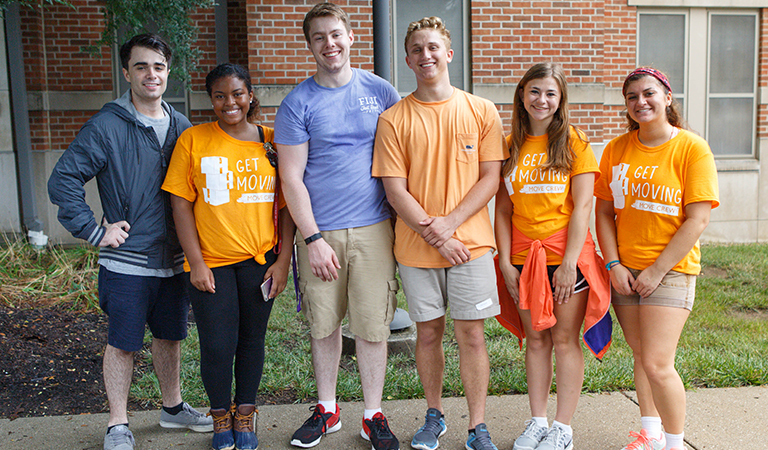 Housing and Residence Life staff enjoy helping their fellow cohorts on move in day. 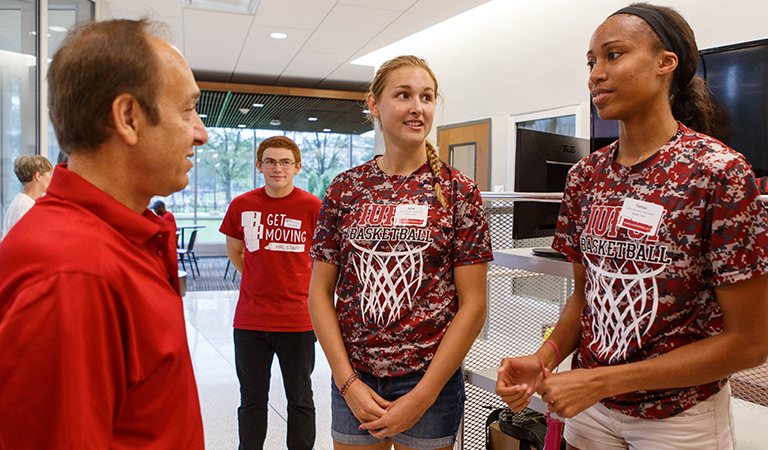 Chancellor Paydar chats with members of the IUPUI Women’s Basketball team as they help students move in. 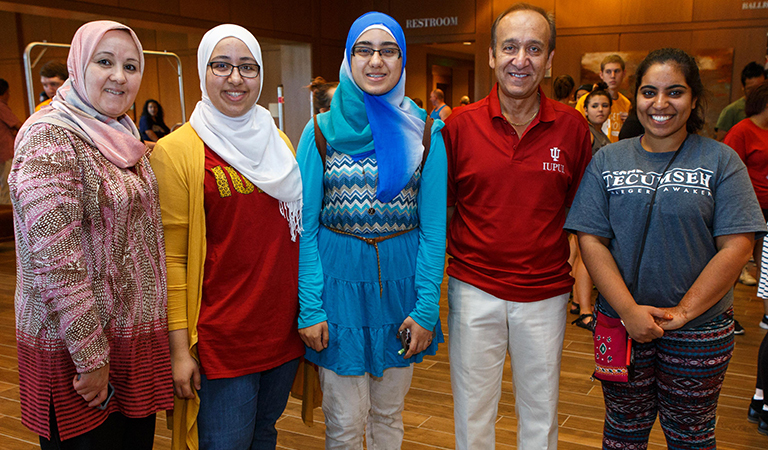 Chancellor Paydar eagerly welcomes students and families from all walks of life to IUPUI’s campus on move in day. 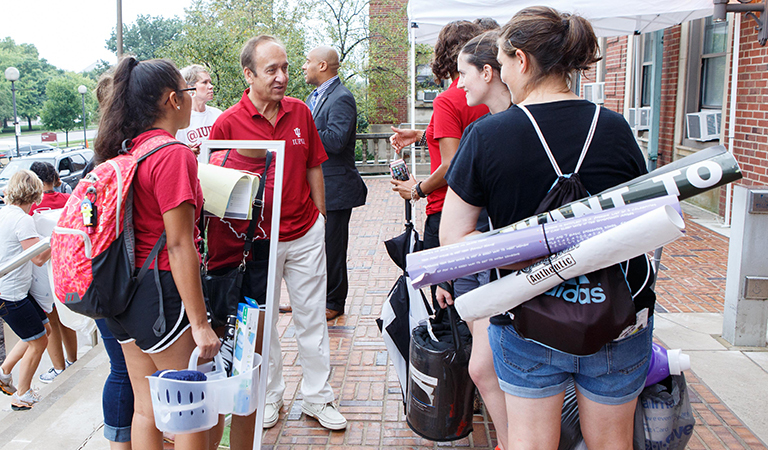 Chancellor Paydar shows his support by vising residence hall staff on move in day.